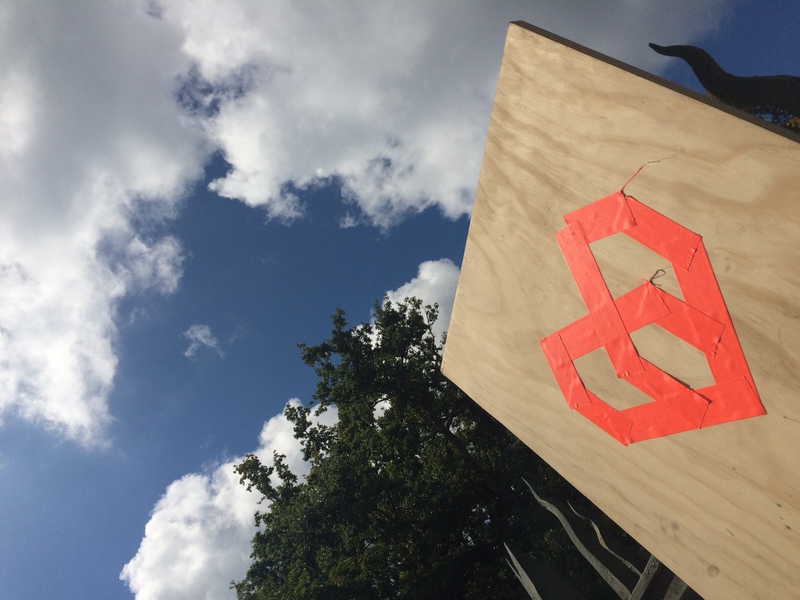 An innovation camp for open source sustainability. There are encounters that change the course of our lives. As volunteer of POC21 team, it was a great pleasure to participate at first steps of an amazing achievement, made possible by the strong implication of an international community of +100 makers, designers, architects, engineers, scientists, social innovators and many other volunteers. This experience could bring a few bold and smart practices of life-changing to everyone, showing how everything is connected to protect the planet. 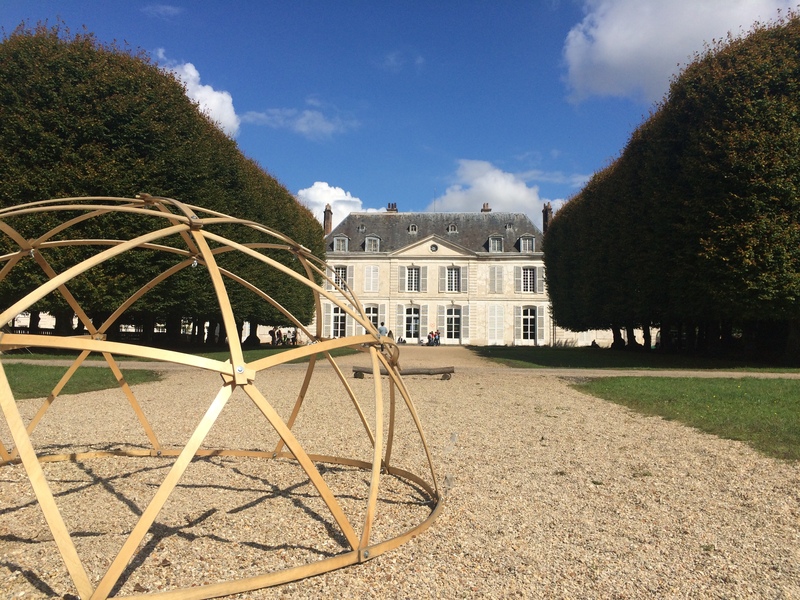 The headquarters of ecologic hacking has found a place this summer in a 16th century castle, at less than one hour from Paris, reinventing during 5 weeks the near future by prototyping the fossil free, a zero waste society. 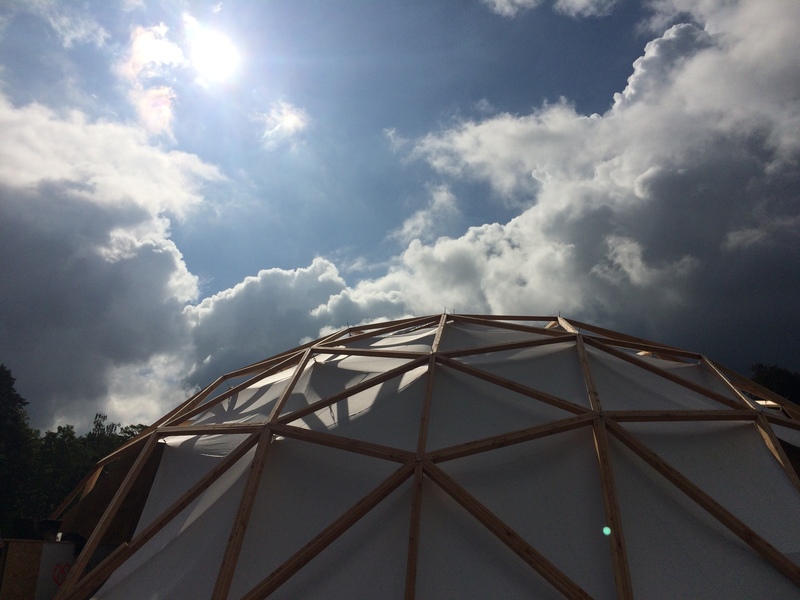 POC21 (Proof Of Concept) echoing the COP21 has had indeed the mission to prototype 12 open-source projects for sustainable living in different fields: housing, food, mobility, energy… many sectors in which we can take actions to reduce global warming. 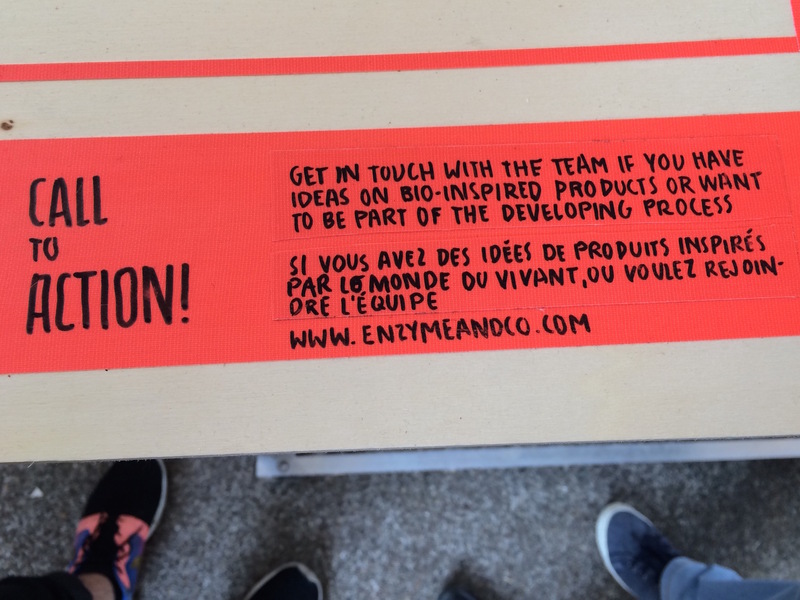 POC21 won the bet with a radically different approach: finding passionate people and bringing together talents and skills in the most open and collaborative way. The idea was not to sequester the team in a summer camp but to share willingness and responsibilities. It allows people to bring ideas, help validate hypotheses, build features and prototypes that feed the solutions. Even if POC21 connects multiple people, with various partners, all have a common and clear understanding of challenges about climate change. They work closely with others to find innovative solutions in a constructive and positive way. Living and working together during 5 weeks, the stress and the tiredness levels may be high, but support each other with smiles and random acts of goodness have been helpful to move forward in the most natural way. For example, POC21 members always try to communicate and to emphasize a good experience or expertise. They are striving for solutions, and try to inspire others to do the same. One of the key values at POC21 was making the organization easier as possible for everyone to let them really focus on what matters: deliver the proof of concept enabling a fossil-free, resource-efficient society. There were a lot of social tools to help the community thinking and doing in the spirit of open source and to get things delivered or shared features in an agile approach. As we know that within the environment, behavior can influence the mood and the atmosphere, it was also important to define social norms to make sure that everybody is taking part in the adventure, that each person can bring something good for collective progress. That’s why it was a unique creative process with mentoring sessions, sprints, reality checks, retrospectives, campfire chats and more tools to communicate and work together. POC21 has taken one of the biggest challenges facing humanity today, which is how we want to live on this planet in a way it can sustain. POC21 has created a system innovation as a unique set of strengths: strengths to rely on local providers, to rely on partners ready to follow the ambitious vision of the founders, to join a team coming from anywhere, to find the best way to live in harmony with nature. These people could make locally a global and significant impact to reach better future through sustainable design and the open source mindset. POC21 has been leading project with a sense of humanity, found more synergies and cross-fertilizations among different disciplines, as a new way of creating, working and living. 12 projects have been selected: why do we need them? Food, water, housing, energy and transportation systems are all facing critical challenges as impacts of climate changes. That’s why POC21 has selected some projects able to reduce C02 emissions, to make a more resilient world. SHOWERLOOP reduces drastically both the water consumption and the energy to heat the water. A filtration system cleans shower water in real time, reducing the amount of water and the energy used to heat that water by five to ten fold or more. SOLAROSE brings the concentrated solar power in the hands of entrepreneurs, small farms and factories, empowering them to autonomously produce the energy they need directly from the sun. Easy to build, the solar concentrator combines the most cost-effective technology and the lightest possible structure. FAIRCAP is a portable tiny antibacterial water filter that could be screwed into any plastic bottle. It allows you to safely drink from a stream, lake or water pond. Faircap came up with an open source, 3D printable filter system that only costs around $1 to make. The diversity of those 12 projects is real, discover them all here. Seeing all those great findings, we feel astonished: it’s just common sense, why not having already created, built and launched all those major creative concepts? What do we learn? A real change is definitively possible on a large scale. “Imagine a society where collaboration is the new competition, where free wisdom beats intellectual property and business works in harmony with nature again, not exploiting its resources” said Daniel Kruse, POC21 co-founder. POC21 challenges are critical, we’re all living in a more and more global society where solutions have to be found together. Adaptation, solidarity and determination are key to successfully carry out initiatives for a sustainable future. Just a few suggestions: embrace the breed of open source movement, foster new collaborations and long-term relationships, turn intention into to action like this community did so far! Finally, as Stan Allen outlines about material practices in the new ecology field: “it is important not to focus so much on what things look like but more on what they can do”. It is essential, as POC21 showed us, to see beyond the product, and move forward to build global sustainable living. By working together, a team can accomplish goals much faster, and can design things in a integrated and interconnected way. That’s why to achieve consistent decision making, it is also essential to share common values and to find inspiration in what others can do. We can communicate globally almost in an instant, why don’t we keep the power to make changes in a long term with a conscious of our environmental impact? It is a new way to see the world and how it operates. Lastly, as I saw at POC21, stay optimistic above all! Thank you POC21, see you next year or (soon ?) in another place!